Without being physically prepped for the strenuous movements required for certain sports, their bodies typically fail to execute these movements correctly or suffer the excessive use of the joints and muscles in such a short span of time. Speaking of being physically prepped, this is crucial for all in preventing serious injuries. Regular sports training is a great way to prep the body as it develops not only the right skills, but also the right muscles. 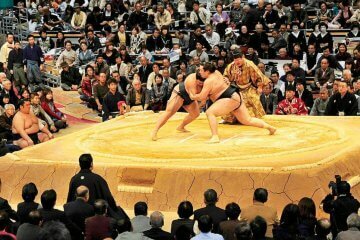 In addition to that, it can hone proper and safe movement as well as increase stamina. But this isn’t the only preventive method available out there. Physical exercises like proprioception (various exercises that increase the body’s capacity to determine where all of its parts are positioned at any given time) and strength training (to build muscles to support movement and create additional “cushioning”), to cite two, have been proven by several tests to reduce sports injuries. And then, there’s sports massage — London health experts claim that sports massage, if performed before and after a competition, increases muscle and joint flexibility for better physical performance and reduction of injury risks. In preventing sports injuries, massage helps make sure that the body’s muscles are loose so movement is more comfortable no matter how strenuous it is. When muscles are loose, they are more familiar with the range of movements they are tasked to support; plus, they are less prone to spasms, which can prompt a person to suddenly alter or adjust the way he’s moving. Recent studies also reveal that this type of massage is effective in treating muscle exhaustion and athletic stress that lead to delayed onset muscle soreness or DOMS. With sports massage treatment, the inflammatory responses get suppressed and muscle discomfort is minimised. At Massaggi in London, sports massage is carried out effectively by the clinic’s resident experts; they are reliable professionals for the treatment of sports injuries and other pesky persistent pains created by the stressful and unhealthy lifestyle that most folks have today. They facilitate healing and make sure that patients regain balance in their lives and learn how to maintain it. Sports injuries may be caused by a variety of factors including accidents, poor form, insufficient warm-ups, and even over-exertion. 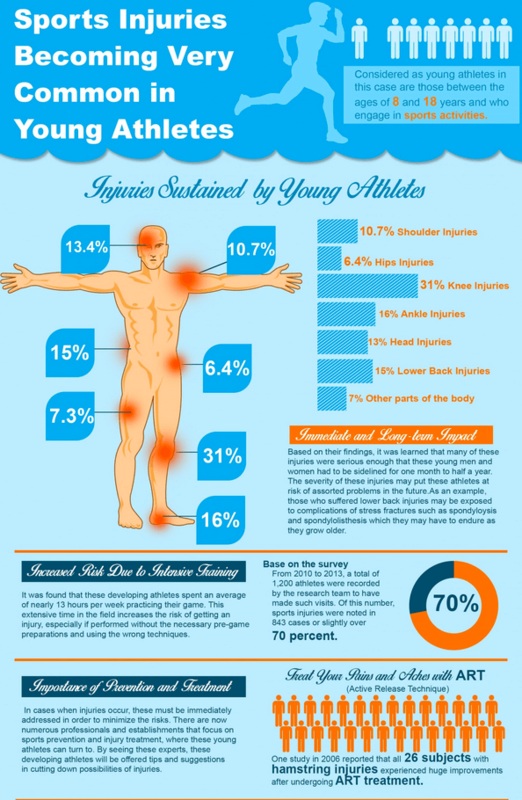 Another common cause of sports injuries is overuse. 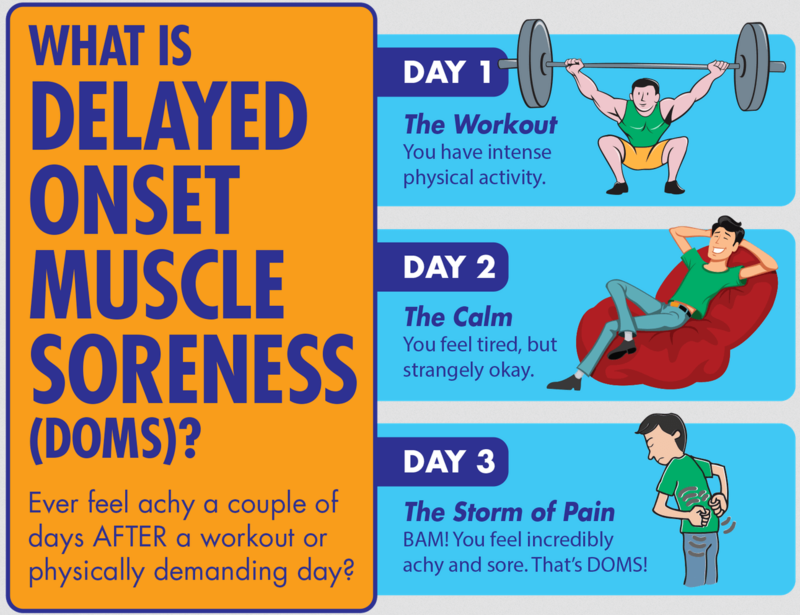 During training or exercise, your muscles and other tissues are damaged. If you give your body ample time to rest and recuperate, you’ll come back stronger in the next training sessions. However, if you use the same muscle groups over and over without giving them ample time to recover, you risk injuring yourself. Curiously, even people who lead sedentary lifestyles can suffer from injuries similar to those brought about by sports, thus necessitating a visit to a sports massage clinic. Repetitive strain injury, or RSI, is an umbrella term given to the type of injuries which result in pain, tenderness, stiffness, tingling and cramping due to the overuse of muscles and repetitive work. The areas that are typically affected by RSI are the shoulders, neck, forearms, wrists and hands. In recent years, RSI has become prevalent among office workers who spend practically a third of their waking lives hunched in front of the computer for long stretches of time. The risk of getting RSI increases when you have poor posture, if you work for long stretches of time with few breaks in between, when you are stressed, and even when the temperature in the work environment becomes too low. RSI can hamper your productivity at the workplace. Fortunately, there are several strategies that you can undertake to minimise your risk of getting injured. These include practising good posture, taking short, frequent breaks, and modifying the setup of your work station (with a keen attention on ergonomics). If you have begun to notice symptoms of RSI, you can opt to get a quality sports massage in London. At London-based Massaggi, specialists treat people from diverse backgrounds, including office workers whose productivity have become hampered by RSI. The sports injury clinic offers physical therapy treatments that aim to help clients prevent and heal injuries to muscles and tendons. Treatment typically begins with an informal interview, which allows the specialists to determine which type of therapy suits your condition and which can bring the best outcomes for you. These treatments include Swedish massage, deep tissue massage, reflexology, Thai massage, acupressure, neuromuscular massage and sports massage. With sports massage, the goal is to stimulate the circulation of both the blood and lymph fluids which aid in recovery. Some types of sport massages can even help break down knots in the muscles and increase range of motion. People playing sports should not only be concerned about knowing the rules or giving their best shot – another more important thing to always be mindful of is injury prevention. If you want to win or at least attain your personal best, you also need to learn the strategies and techniques that will help you prevent the incidence of getting hurt from trauma and accidents. 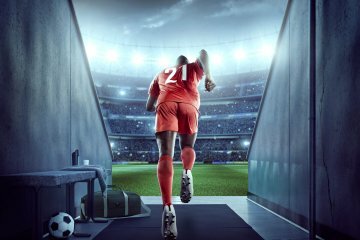 The injuries you sustain from these incidents may not only take you out of the game, but also bring you serious pain, if not long-term or serious disability. Leading sports massage therapist Ben Pianese says that as a player (whether you’re a professional athlete, following a fitness program or a sports enthusiast), your objective should be on the prevention of sports-related injuries by following best play and training practices. But accidents do happen – you can get hurt even in the safest environment. It is fortunate that sports injury patients now have more access to physiotherapy in London — the best therapy and treatment solutions that can effectively ease their discomfort and target the root cause of their pain. You can acquire sports injuries even before you play the game or start your workout. According to Ben Pianese, some of his patients have acquired sports-related injuries during warm-up sessions. Therefore, you need to know the training type, intensity, frequency and framework that suits your fitness level and takes into consideration your medical and health history. Training or playing regularly and gradually increasing the level of effort (intensity, speed or other metrics that apply) is always a good thing – you don’t want to slack off during the weekday and make your muscles “pay” for that by training or playing too much when the weekend comes. Wearing the proper attire and using the right equipment are also key to reducing the risks of injury while playing or doing fitness training. The right response can prevent further harm. If you have been injured, immediately stop what you’re doing, whether you’re in the middle of a game or finishing an exercise. Let authorities (your coach, your fitness instructor, etc.) know about your condition. They will apply first aid, take you to the clinic, or call the doctor immediately. The emergency room is typically your first stop in case of a sports injury. After the initial consultation and medication provided, however, you will need to seek a treatment approach that will relieve the pain and help your body heal. A proven and effective way to ensure this is to seek the attention of a trusted therapist specialising in sports massage. London-based Massaggi employs a unique combination of sports massage techniques and modern science that informs a personalised care plan for every patient. The result is not only injury treatment and relief from pain – sports massage can also help your body improve its strength, balance and flexibility so that you can stay fit, prevent future injuries and level up your game (that is, once your doctor allows you to return to your normal, high-physical activities). Investing in the right sport injury therapy can provide healing and recovery not just for the affected area, but for your entire body. When you were much younger, getting bumped hard by a teammate during football practice at school or skinning your knee on the pavement after falling off a bicycle could be treated with some soap and water, an antiseptic, and some bandages (and maybe even a hug and kiss from mummy). But now that you’re older and engaged in more strenuous physical activities (regardless of whether you’re a professional athlete, a weekend warrior throwing around impressive weights at the gym, or someone who simply enjoys going for a run around the park when the weather permits), you are naturally at risk for more serious injuries and health conditions that, unfortunately, seem to come hand-in-hand with sports, exercises and other physical activities that are meant to improve the health and vitality of the body. A sports injury can be classified into two types. Sudden injuries occur immediately, as the name suggests; they are caused by a sudden impact or unnatural or awkward movement. Overuse injuries, on the other hand, are injuries that your body develops over time, when you perform repetitive movements using the same body part, or when you observe poor technique or posture for prolonged periods. As such, sports injuries include sprain and strain (tearing, stretching or twisting of ligaments), bone injuries (fractures), joint inflammations, hamstring injuries, and all kinds of back, head, knee, shoulder, wrist and heel pains. Of course, there are also measures that health professionals can prescribe to help prevent injuries before they occur. These would include warming up properly before any workout regimen, not pushing the body to breaking point, utilising proper safety accessories or equipment for specific activities, and following correct techniques from certified coaches or trainers. If you’re seeking a more effective form of sports massage in London, the best move would be to pay a visit to Massaggi, the pre-eminent pain relief service in the city. The centre offers traditional sports massage and the Emmett Sports Massage (ESM), a precise technique created by Massaggi founder Ben Pianese that promotes the importance of specific points in the body (the Emmett Master Points) in enhancing the free flow of communication around your body’s network so that it can perform at a heightened level. ESM is a bespoke remedial massage therapy solution that is designed to re-set fascial release for structural balance and to refresh alignment. This “re-set” addresses your body’s Emmett Master Points, balances your feet, and improves your body’s overall stability — all in less than 20 minutes. When you come in for a consultation at Massaggi, the sports massage therapist will put together your medical history and perform a full-body MOT examination (to determine any injuries you have or whether you have overused your musculoskeletal system). Your personalised ESM treatment will then be tailored according to your body’s anatomy and neuro-muscular blockages. How do you benefit from sports massage? This breakthrough sports massage technique helps unlock tight muscles, re-align back muscles, relax stiff body parts, and ease pain and discomfort. This means that runners, swimmers, cyclists, personal trainers, fitness instructors, yoga practitioners, gymnasts, boxers, “recreational” athletes and players of all kinds of sports (tennis, football, rugby, cricket, etc.) can feel stronger, lighter, faster, and more flexible, as well as have better coordination, balance and endurance. Being active does a body a world of good, but it can also subject you to a world of pain, discomfort and even disability. By observing injury prevention measures and seeking proven effective treatment modalities from a sports injury clinic London athletes trust, you can excel in your chosen sport and push your body to successfully (and safely) attain your athletic goals.